Cruising in the Mont Boron Park in Nice is really no secret; word has been out about it for as long as I can remember. 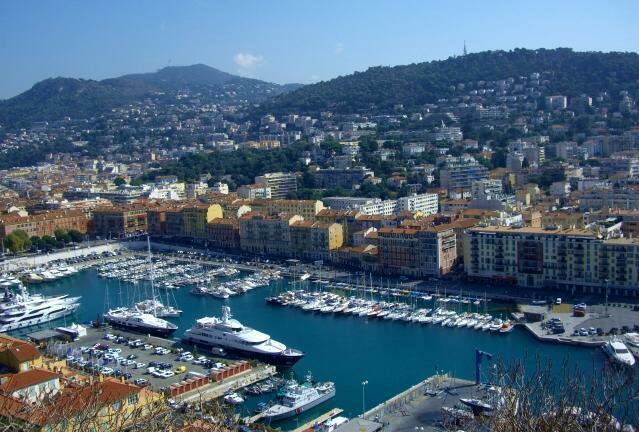 And although this type of gay cruising is not my thing, I do get a lot of email requests asking specifically about this area of Nice. 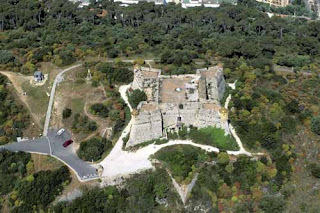 I have only been to Fort du Mont Alban in the Mont Boron Municipal Park a couple of times myself, usually to go for a hike, and because I have an interest in the architecture of historic buildings. What I can do is give you directions on how to get there and my thoughts on what I have experienced on Mont Boron. What you get into at the park will be strictly your business. 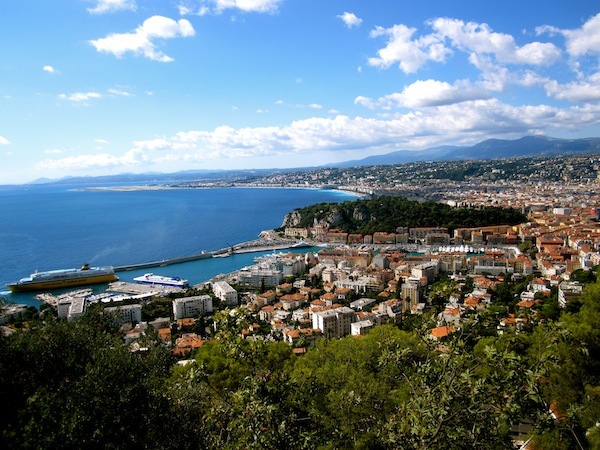 Mont Boron is situated at the eastern edge of Nice and is often referred to by the locals as being their version of the Hollywood Hills because of the exquisite, private villas dotted up and down the hillside. 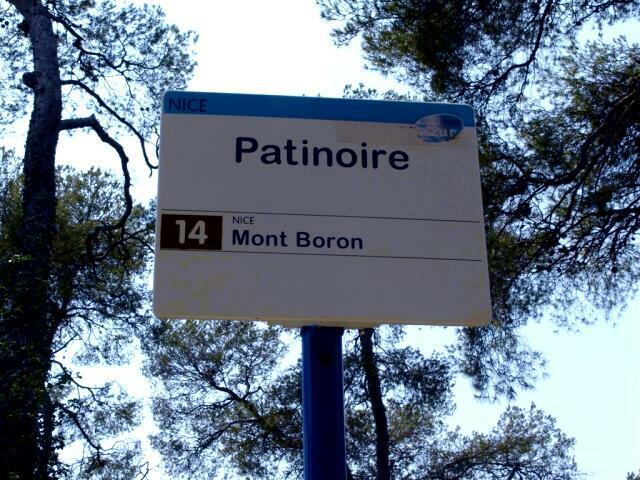 Even Sir Elton John has a large estate on Mont Boron. 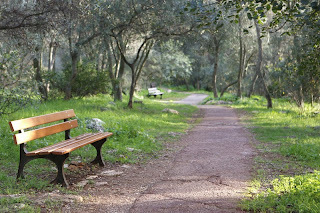 Within the park on Mont Boron are about 11kms of trails winding around one side of the hill to the other on which you can go for a bike ride, hike, or even find a spot for a picnic. It is a fantastic way to spend the afternoon if you wanted to step away from the city for a while. 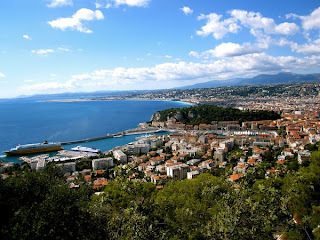 My trips to the top of Mont Boron have always been by way of a friend’s car and on the times I have gone, we have taken a different route each time. If you are driving by way of the port area (which is on the edge of Mont Boron), you will start to see signage noting which direction you need to go to head into the park. 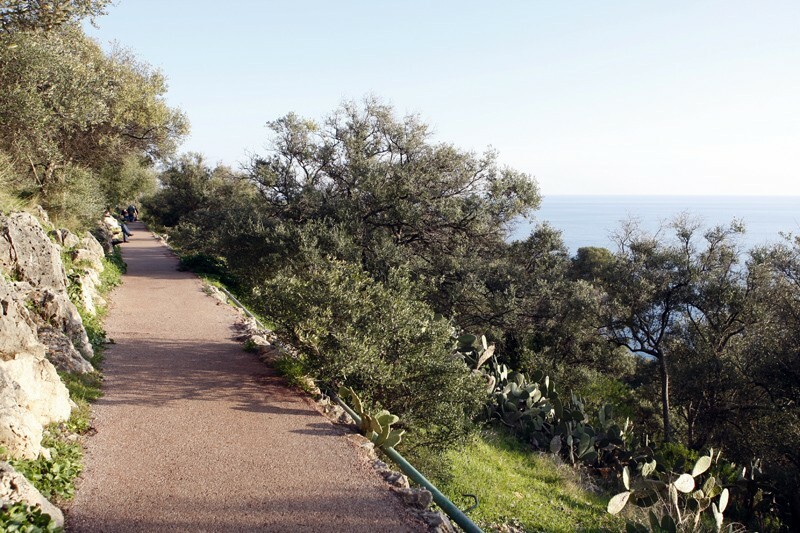 You will also see signage leading you to the top of the park by way of Villefranche-sur-Mer. Another option to get there is by bus. 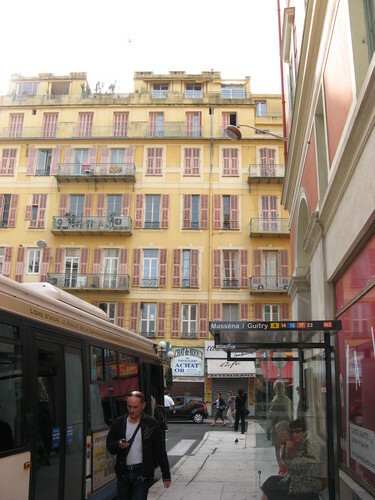 I would take the #14 bus from the stop right next to Galeries Lafayette in central Nice on rue Sacha Guitry. The bus will take you to Mont Boron where you can walk towards the fortress area, it runs approximately every 20-30 minutes and will easily get you there and back. Be sure to ask the driver when the last bus comes down the hill from the park. 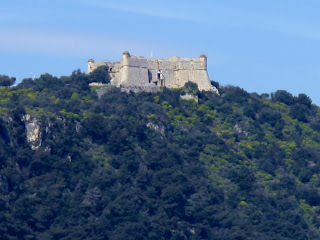 From what I have seen and heard, once you do get to the top of Mont Boron, people tend to start cruising near the fortress. This fortress I am talking about is the Fort du Mont Alban. 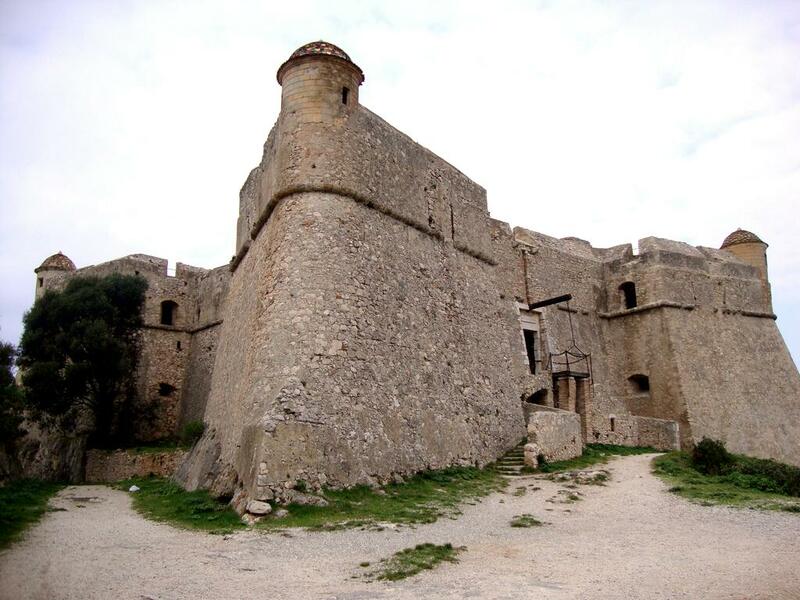 You will not be able to miss this place, although closed; this massive 16th century structure is commanding. 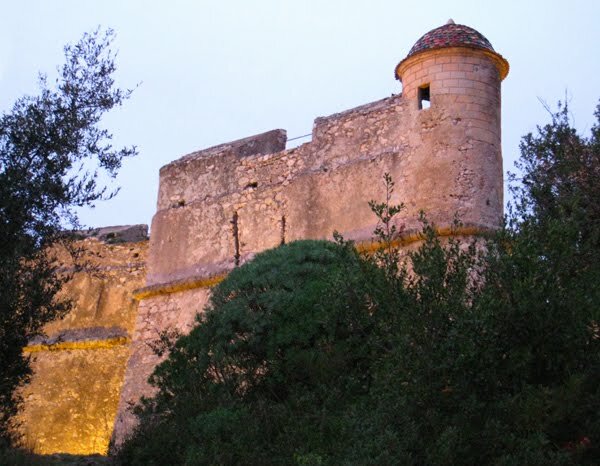 There are plans with the city of Nice to convert the fort into a contemporary art museum in the future, but for now you can still stroll around the battlements. The panoramic views from this location are out of this world. 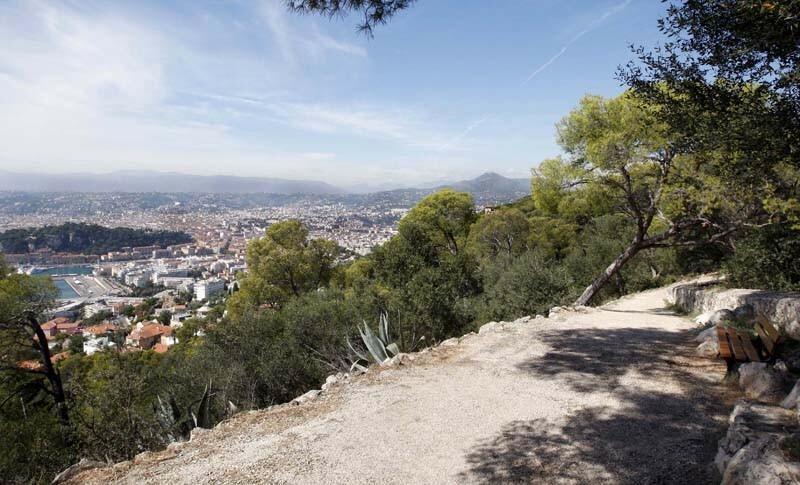 On one side of the hill you have the city of Nice where you can also see out towards Antibes and Cannes. With the other side of the hill you can see out towards Monaco overlooking Saint-Jean-Cap-Ferrat with Villefranche-sur-Mer nestled below. Since there are no specific trails that I know of in which to follow, my advice would be to walk towards the communications tower heading south away from the fort overlooking the city of Nice. The last time my friend and I went for a drive there, it was starting to get misty outside like it was going to rain any minute (which is evident in my pictures). We were not even 50 feet from his parked car near the fortress and we could already see men on various splintered paths looking for some action. It wasn’t flagrant, but it was enough that our gaydar had kicked in. We had planned to just go for a short hike around the area, I was going to attempt to take some pictures from where we were overlooking Nice but the weather got worse quickly so we just headed back to the car and left the grounds. You could see other men too, heading out off the trails and either getting back into their cars or hopping on their motorbikes because of the weather. We kind of made a joke about it in the car when we were leaving how everyone was coming out of the woodwork. I would say, even if you do not find what you’re looking for, Mont Boron is still a great place to get some fresh air, discover the fortress and you cannot beat the views. Just don’t spoke the horses if you know what I mean. Be aware of your surroundings and keep in mind that families go into the park as well.